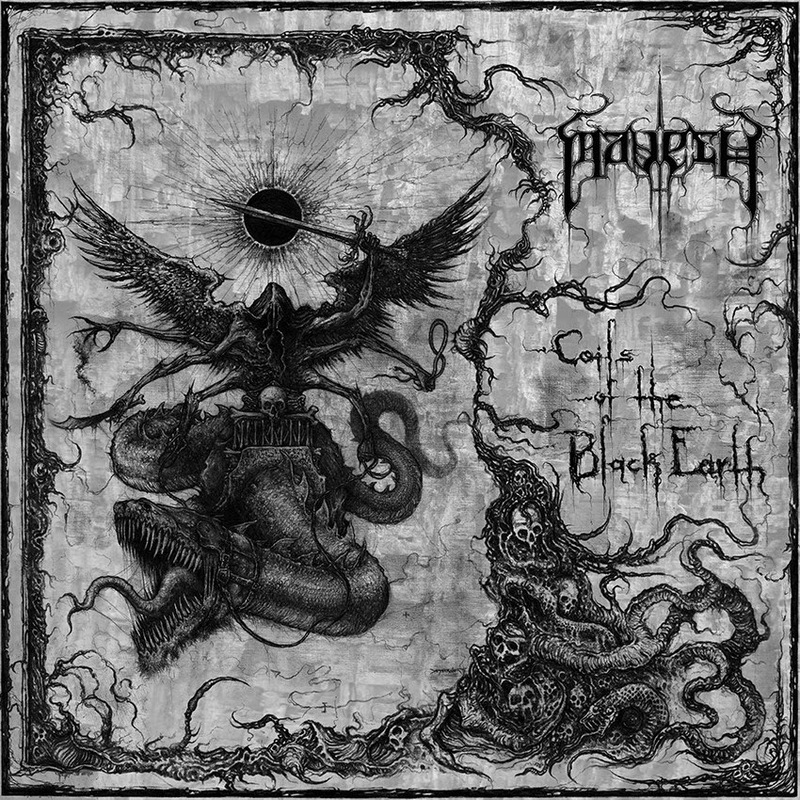 Active since 2007, releasing an EP, demo and appearing on the Breath of an Abomination compilation, Finnish blackened death metal band Maveth have finally released their debut full-length, Coils of the Black Earth. While the thick, muscular riffing that dominates is reminiscent of the finest Finnish and Scandinavian death metal, frontman Christbutcher is a U.S. expat and his influence is keenly felt in the occasional grooves in the song structures and sour, acerbic tones. Elements of American and Scandinavian death metal are woven together expertly throughout this record. The vocals are a high point, delivered in a monstrous roar that sounds more believable coming from the throat of a 600-lbs. grizzly than a human man. The songs lumber forward, statelier than the frantic blasts of the drums would suggest, and the violence the tracks perpetrate is more inexorable and deliberate than frenzied. 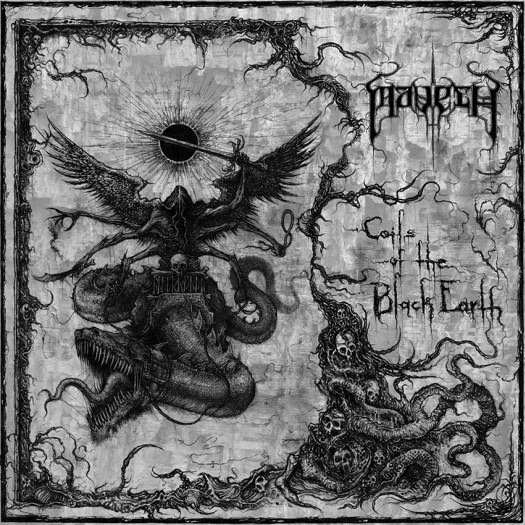 In a genre that's often oversaturated, Maveth have created a slab of death metal that remains as fresh and fertile as the black earth it ostensibly crawled forth from. The budget conscious death metal connoisseur can find Coils of the Black Earth a little cheaper here.